Today I offer you a moment of reflection using Visio Divina. 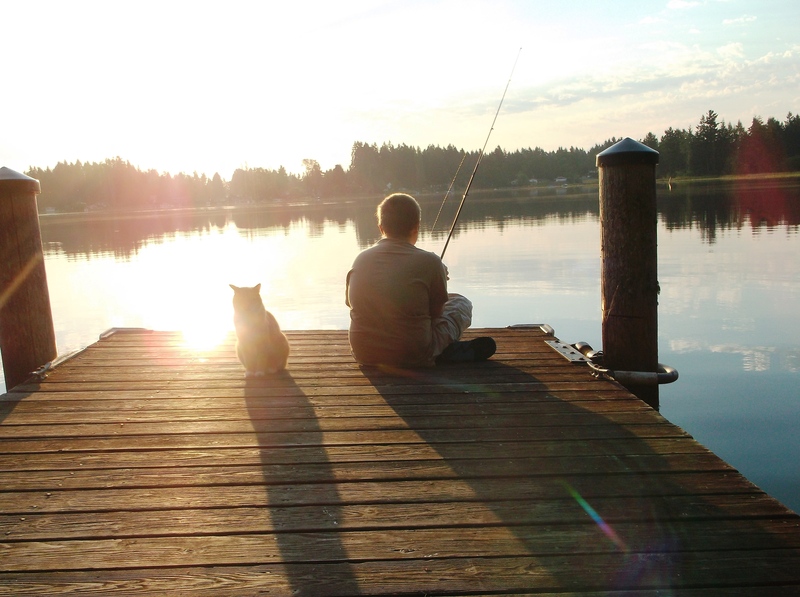 The photograph is of a young boy fishing on a pier with a cat beside him. What insights might you find as you slowly gaze into its depths. As you gaze at the above picture what feelings does it bring up for you? What elements are you drawn to and why? Engage your imagination and where would you place yourself in the picture. Does the image remind you of an experience you’ve had, a person you know or remember, or an issue that is close to your heart? Find your quiet Center. Breathe deeply. Relax your shoulders, arms and legs. Rest in the quiet the scene evokes. Let God pray in you. Let your prayer to God be beyond words.